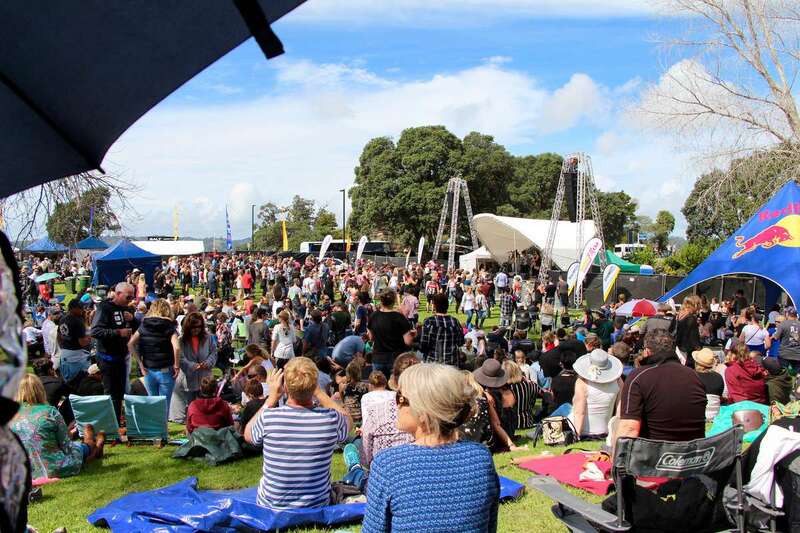 Festivals – whether it be food and wine, music, performances or even weird creepy crawlies – in New Zealand we love them! Below are five of New Zealand’s best that can be enjoyed as part of your travels around the country in your campervan, or even the main reason you hire one to begin with. It Bay of Islands Food and Wine Festival – Paihia. This annual event is not to be missed! 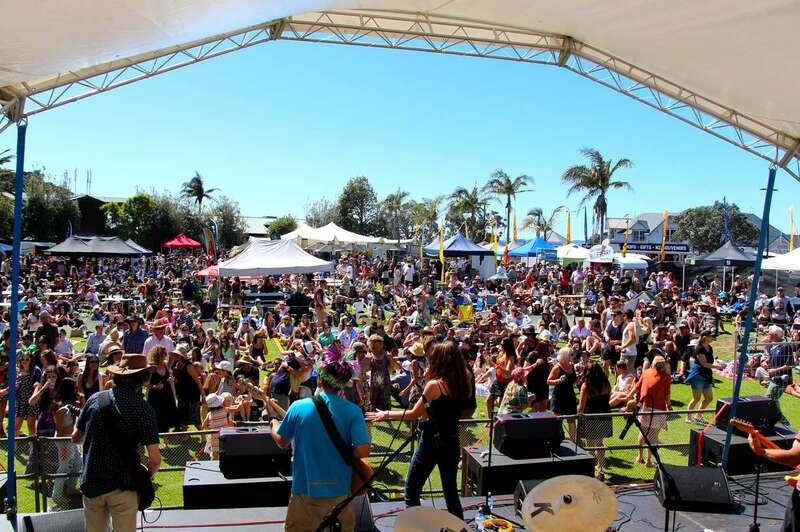 Succulent seafood and foodie creations, complete with delicious wines, full on festival atmosphere and entertainment from New Zealand’s favourite musos – this event is one to add to the calendar. A full day of fun from 11am, the festival is a traditional favourite with crowds flocking each year to sample great local delicacies, revel in the sunshine, and take in the entertainment. Music, sunshine and some of the world’s best surfing beaches – a stunning combination. Soundsplash, one of New Zealand’s top music festivals, returns to Raglan each year with a bigger and better list of headline acts. Heading up the 2019 festival is Sticky Fingers, Macky Gee, Sachi, Theia and many more amazing Kiwi and international acts. With lots of places to park your campervan, including a camping site at the festival, this is one slice of iconic New Zealand old school heaven. 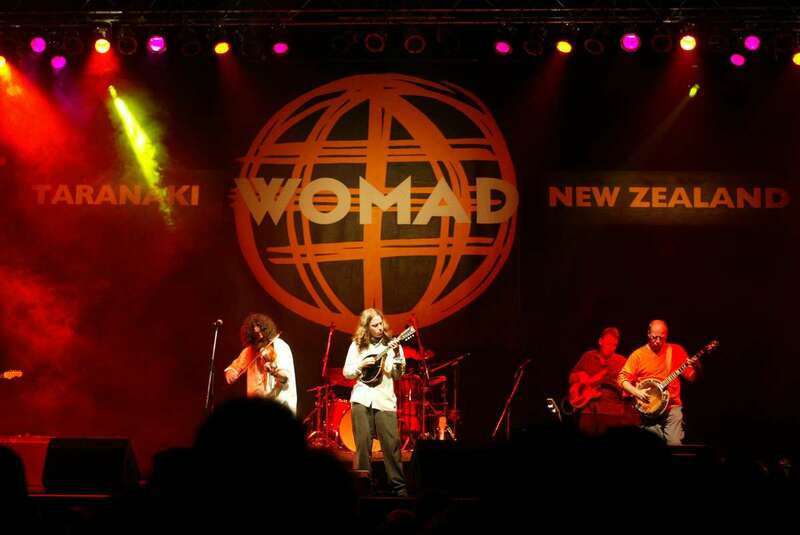 One of the most iconic music festivals in New Zealand, WOMAD is held in New Plymouth each year with resounding success. WOMAD (World of Music, Arts and Dance) is an intriguing and welcome assault on the senses. Bringing international and local artists together, with food from around the globe, and an atmosphere like none other, for three days in March each year. A fun, family-friendly event, WOMAD often has up to seven different stages within the festival site, plus a kids’ zone, viewing platforms for those attendees over 65 and more. A fun celebration of all things wild (and possibly edible) from the West Coast of New Zealand. This fun and sometimes quirky festival is one not to be missed. Foodies can delight here in all things succulent and delicious, from whitebait fritters, gourmet sausages, smoked salmon, game meats, traditional Maori kai and international fare. Let’s not forget the wild side of the festival, with anything a possibility from grubs to mountain oysters, deep fried insects and so much more – it has to be seen to be believed. Definitely an experience to remember! 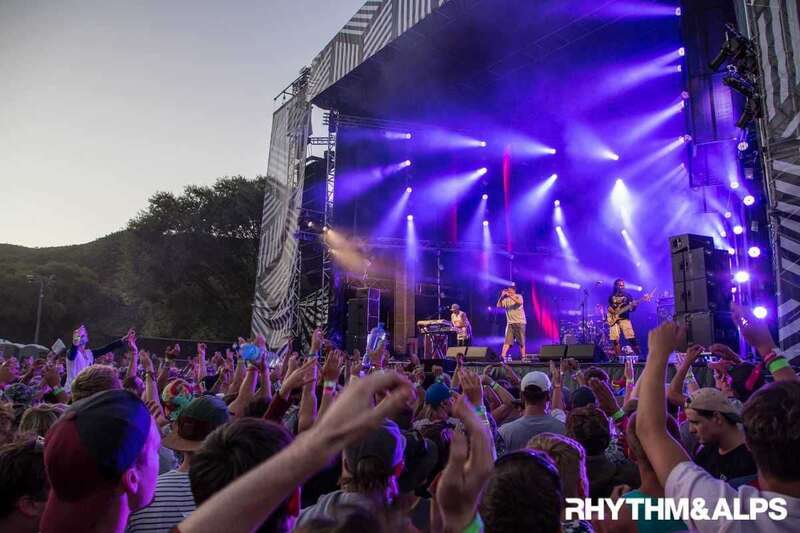 Welcome in the New Year in style with an awesome line up of more than 50 local and international acts at Rhythm and Alps in Wanaka. With a backdrop of the famous Southern Alps (hence the event name), and in a perfect location for those travelling by campervan, this music festival expects more than 10,000 partygoers to come along, camp, dance the nights away and bring in the New Year in style. Don’t miss your chance to watch local and international artists and DJ’s take their talent to the stages.